The Art of Coaching Teams is the manual you never received when you signed on to lead a team. Being a great teacher is one thing, but leading a team, or team development, is an entirely different dynamic. Your successes are public, but so are your failures—and there's no specific rubric or curriculum to give you direction. Team development is an art form, and this book is your how-to guide to doing it effectively. You'll learn the administrative tasks that keep your team on track, and you'll gain access to a wealth of downloadable tools that simplify the "getting organized" process. Just as importantly, you'll explore what it means to be the kind of leader that can bring people together to accomplish difficult tasks. You'll find practical suggestions, tools, and clear instructions for the logistics of team development as well as for building trust, developing healthy communication, and managing conflict. There is no universal formula for building a great team, because every team is different. Different skills, abilities, personalities, and goals make a one-size-fits-all approach ineffective at best. Instead, The Art of Coaching Teams provides a practical framework to help you develop your group as a whole, and keep the team moving toward their common goals. ELENA AGUILAR is a teacher, coach and consultant with over twenty years of experience working in schools. 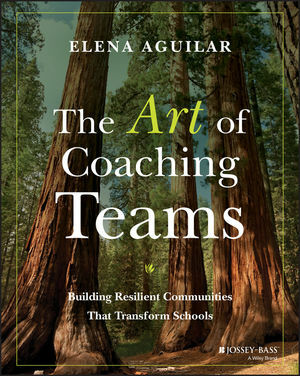 Elena is also the author of The Art of Coaching: Effective Strategies for School Transformation. She has been a frequent writer for Edutopia since 2008 and writes a blog on EdWeek Teacher for coaches. A Note on Terms • What Is a Great Team? • What Makes an Effective Team? • Why Do We Need Teams? • When Do We Really Need a Team? • How Do We Build Teams? To Meet or Not to Meet? • Why Meet? • Which Activities Should We Do? • How Do I Choose What to Do? What Is Conflict and Why Is It So Scary? • What Is Healthy Conflict in a Team? • How Can I Facilitate Healthy Conflict? • A Note on Talking about Race and Other Really Hard Things • How Can I Respond to Unhealthy Conflict? • What If None of These Suggestions Work?